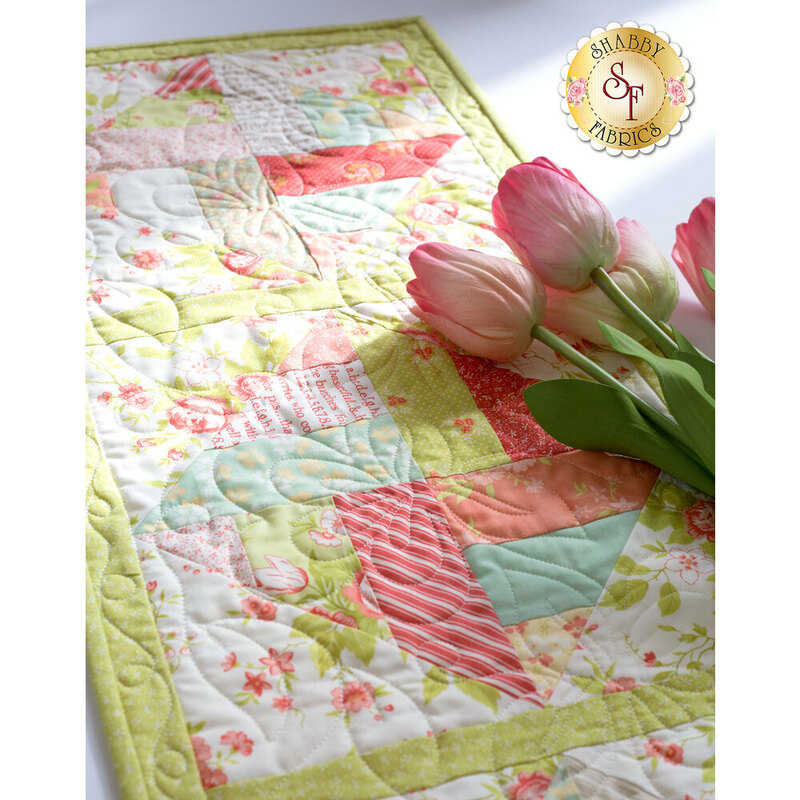 We used the playful Ella and Ollie collection that features soft colors and delicate florals to create a welcoming spring quilt. The spinning rail fence blocks are made easy and accurate using the Spinning Possibilities Ruler! 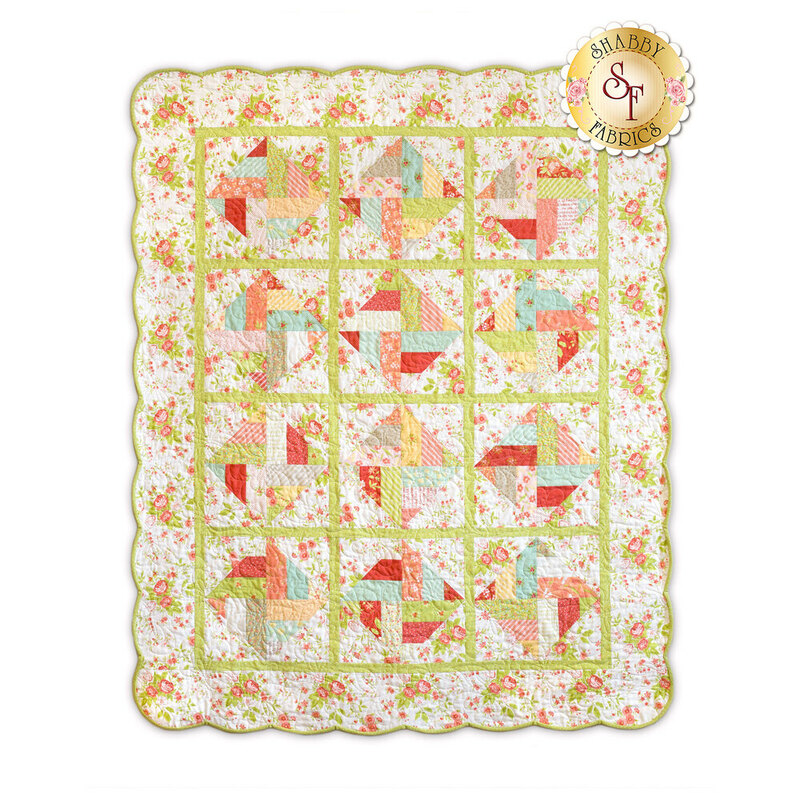 Finish the quilt with a smooth scalloped border as we did, using the Scallops, Vines & Waves Template available below. 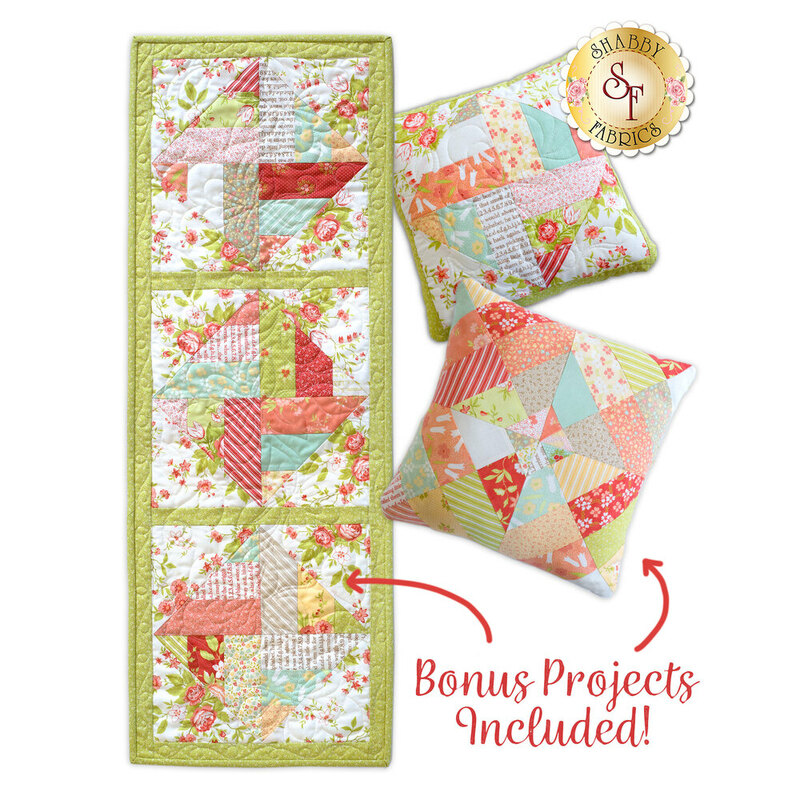 This kit also includes enough fabric to make three coordinating bonus projects – one Table Runner, two Pillows! The quilt measures approximately 51" x 63". Table runner measures approximately 40½" x 14½, and the two pillows each measure approximately 14" x 14". The Spinning Possibilities Ruler is Required to complete the Spinning Rail Fence Quilt and Bonus Projects - Select it in the drop-down option below. All Top Fabrics – Including borders, binding & fabric for all 3 BONUS Projects! 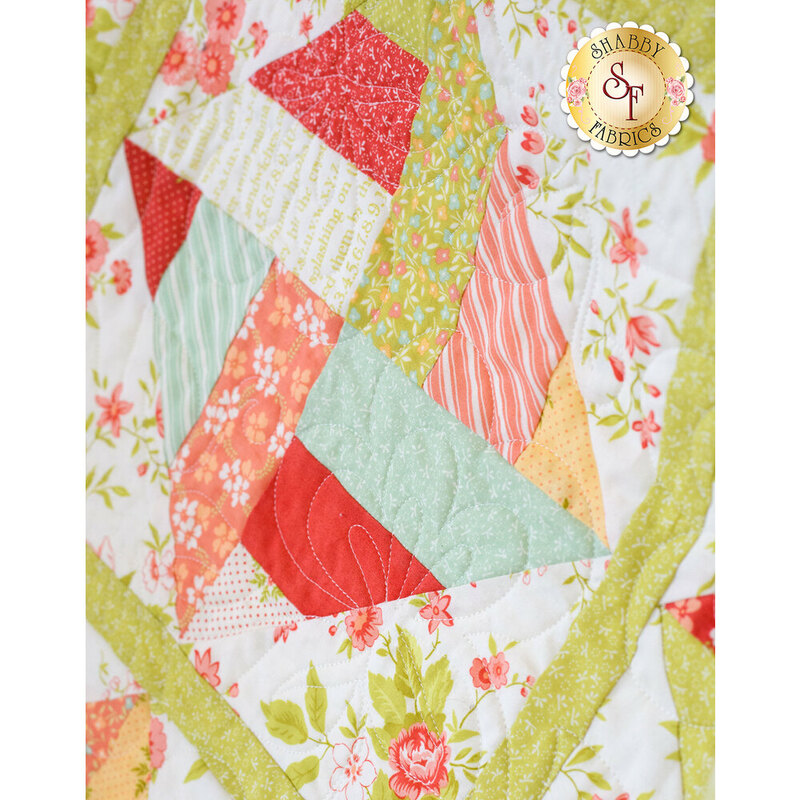 A beautiful coordinating backing is available below!